SATURDAY AFTERNOONS IN SUMMER we meet within the Arc Of Delaware at The Creamery. High octane triple-digit milk fat ice cream, fresh from their cows. A huge oak tree, where generations of bluegrass musicians have come to flat-pick their favorite guitars. When lucky, there might be a bass, Dobro, fiddle, & mandolin. If Doc is there, leave your music stand in your vehicle; a sight of one in a “Bluegrass Circle” can drive him to sputtering apoplexy. Hugh had been dissatisfied with mandolin pickers in attendance. Unaccountably, he preferred my scratching noises on an occasionally borrowed mandolin. For the last couple of years, he has suggested I buy a mandolin and make it my preferred instrument. Whether through generosity or impatience, this summer on a Sunday afternoon he invited me over to pick a few tunes. His home? A 1920s farmhouse deep in woods, filled with cats, surrounded by semi-tame woodland creatures who ate from Hugh’s bounty. His mandolin? A Collings MT2. His offer? Hugh would loan me his mandolin for six months; give me a chance to know a high end – $3800 – instrument. It looked like his MT-2 had sat in a corner for years. Layers of dirt, dust, cat hair carefully impacted between its double strings. Nitrocellulose finish, originally gloss, now a hazy matte. I was surprised the District Attorney had not yet preferred criminal charges. It was, at minimum, reckless endangerment of an acoustic instrument. Hugh got lucky. This would have gone Federal, with EPA in hazmat suits. Ugg! The deluxe hardshell case by TKL may have been manger and nursery for kittens. Decontamination began almost immediately. Strings, bridge, truss rod cover, and tailpiece were all removed. Warm soapy water prepared, a soft cloth, dipped then thoroughly wrung, was gently applied to all surfaces. The fingerboard was grimiest; my cleaning solution was replaced twice. Next, deep cleaning of its nitrocellulose finish. Acetone? TOO STRONG! Naphtha (lighter fluid)? Humm . . . to a point. But hazing and fine scratches remained. 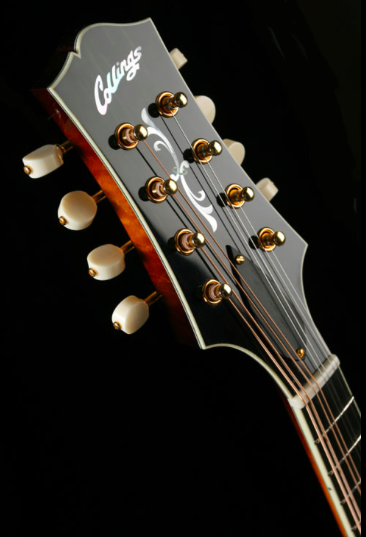 An email to Collings customer service was promptly answered! “We use Novus 2 to remove years of dulling and build-up on our nitro finishes.” A quick hobby store purchase, and in no time, that milky haze buffed right out! Wow, the red maple sides and back shine like new! Next time the strings are off, I’ll do its select Adirondack spruce top and ebony peghead overlay. Can’t wait! This entry was posted in Craftsman / Artist, Music, Product Review and tagged bluegrass circle, Collings It’s not a name it’s a sound, Collings MT-2, Collings MT2, deluxe hardshell case by TKL, how to clean a mandolin, how to clean nitrocellulose, jim sergovic editor publisher, novus 2. Thanks for the interest! When the strings are next changed, I’ll clean & buff the whole instrument, then write a entry on that Collings MT2 mandolin. And include lots of pictures taken in natural light. The tuners will be removed for the cleaning, so the ebony peghead overlay will come out like a factory refurbishment. Collings just got an article, so that will probably happen in about three months.